We are looking for additional full or part time GPs to join our friendly small team.We are looking for either salaried GP or partner. 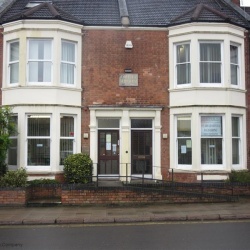 We have a small (4,100 patient) practice housed in ornate terrace houses. We have a “good” CQC rating given. There is an opportunity to develop this practice to meet the challenges faced by general practice. We believe that due to our size and premises it give us a sense of a family GP practice which is enjoyed by the patients. We currently use Emis web with a view to possibly moving to System 1 at a later stage. We work with a team of nurses and a HCA as well as changing minds, Midwife and Social Prescribing working from our surgery. This is supported by the highly effective admin teams on site. We have a partners meeting every Friday but the GP's/Partners communicate daily to support each other.